Cara Appleton and all the classes are well into preparation for this whole school event. 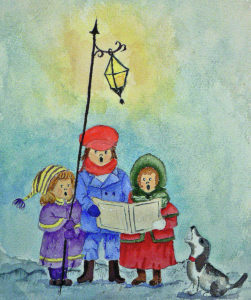 Each class will perform some Christmas Carols as part of a connected story. The band will also perform. This will be a simple family evening where families can bring some nibbles and blankets and join together to farewell the school year in a festive Christmas atmosphere. It will only be 60-90 minutes. As this is an event with children present there will be no alcohol.